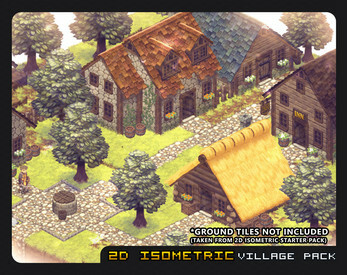 300+ hand-drawn isometric sprites in high resolution with many seamless tiles. 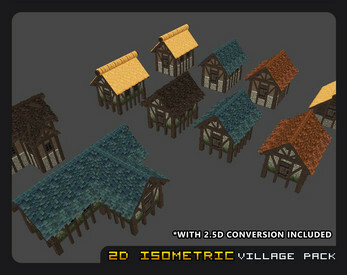 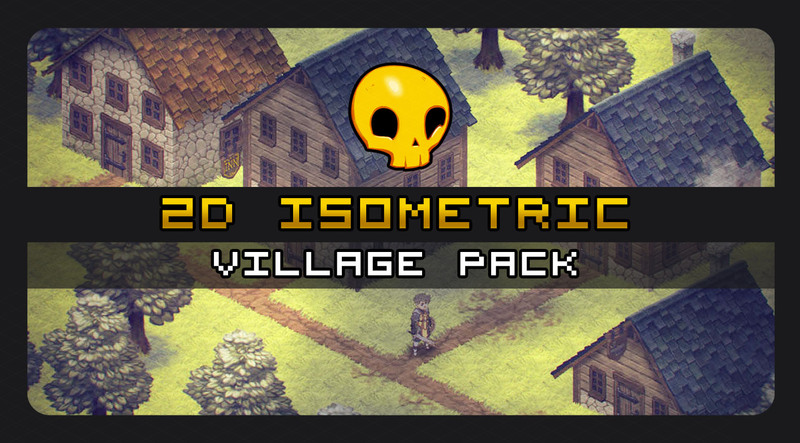 The ideal package to build villages for isometric rpg tactics games. 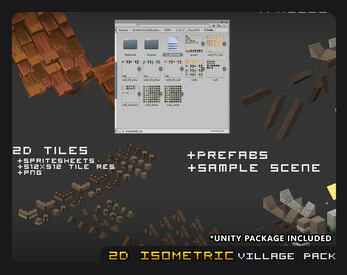 The pack contains various tiles for walls and roofs but also windows, chimneys, a tree, wells and many more. As a treat, I added 2.5D conversion meshes for free, so you can use the tiles for 2.5D prototypes as well as your 2D maps. 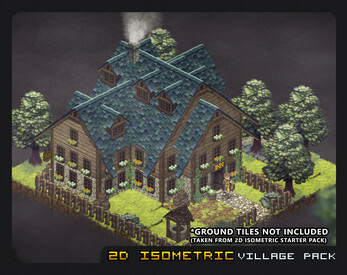 Some of the screenshots show ground tiles like patchy grass and cobblestone, those are NOT part of the pack, but from the 2D Isometric Tile Starter Pack. 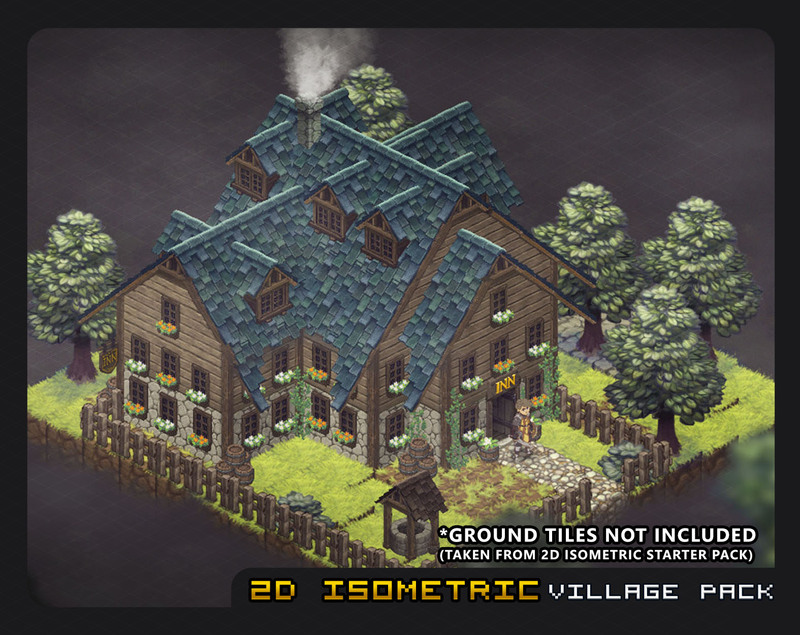 However, I included a dirt and grass tile for free. Tiles are optimized for an x-y-z setup that we use in our worldbuilder(see screenshot), and will not stack properly in a standard 2D setup without y-position placement adjustments. 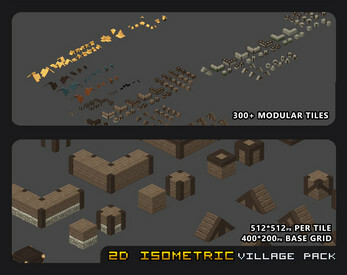 Can be altered and modified for use in project. 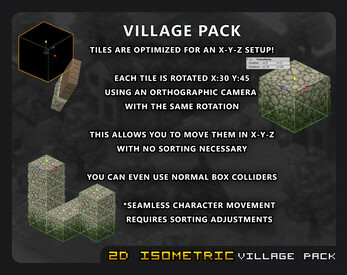 No redistribution of package, its contents, altered or derived versions. 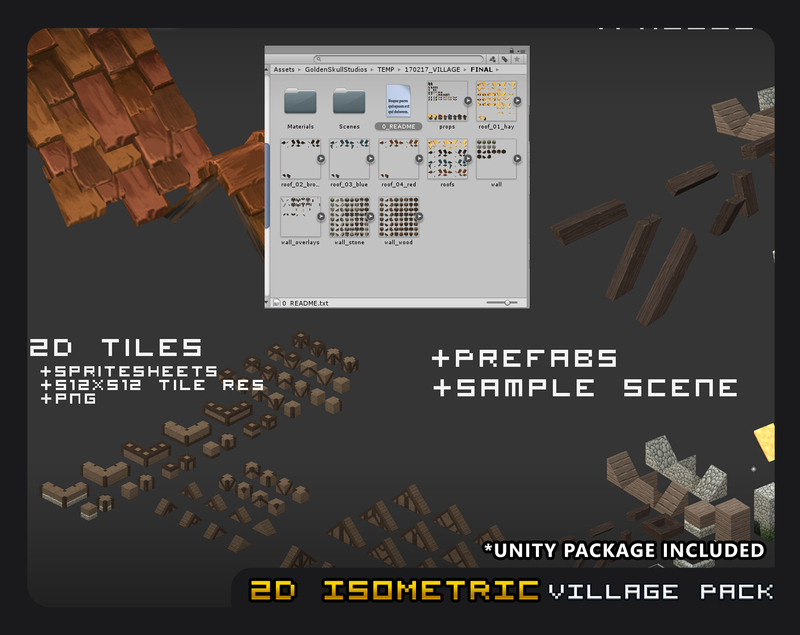 Submit Requests through our discord channel (Link in the support section). 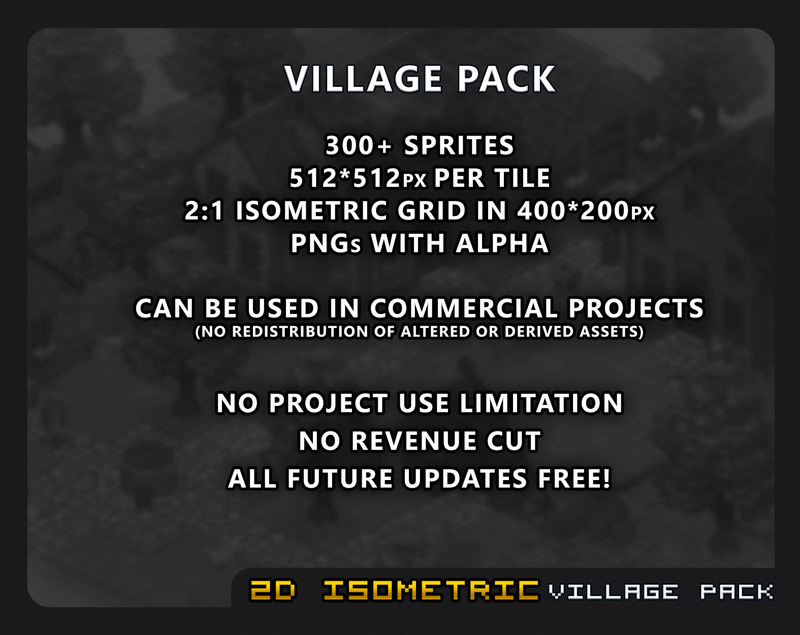 *If you wish to support the creation of additional updates for this package, please consider paying more than the recommended price, we will notice it and update our schedules accordingly. 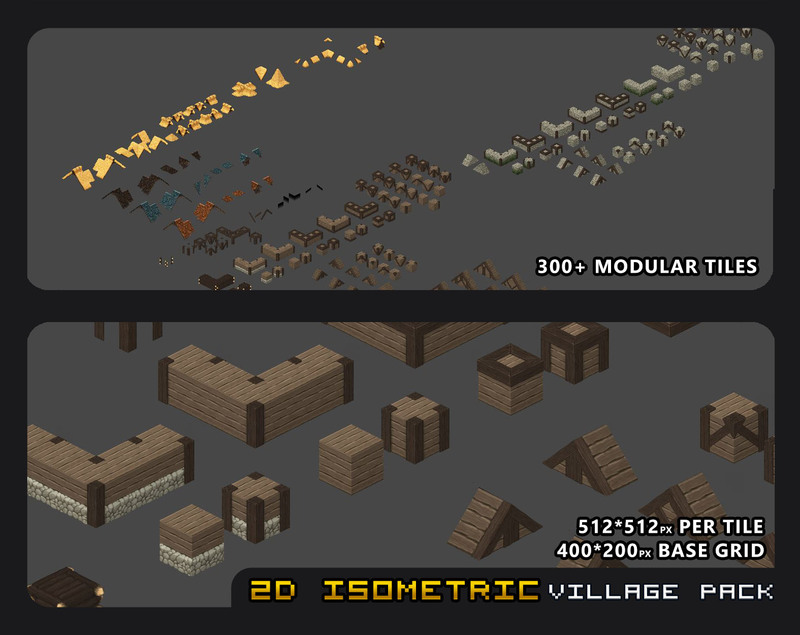 We offer free support through our Discord Channel. 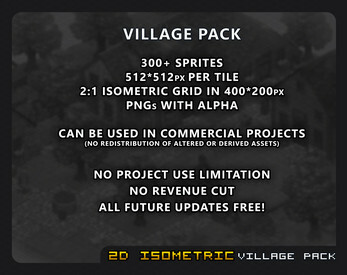 You may ask questions before purchasing aswell.